Wilson gardens is a senior low income housing apartment subsidized by the federal governments hud (housing and urban development division). Contact wilson gardens for complete details on the current vacancies and housing applications. Washington st housing is a senior low income housing apartment subsidized by the federal governments hud (housing and urban development division). Contact washington st housing for complete details on the current vacancies and housing applications. Essex gardens is a senior low income housing apartment subsidized by the federal governments hud (housing and urban development division). Contact essex gardens for complete details on the current vacancies and housing applications. Silsbee tower is a senior low income housing apartment subsidized by the federal governments hud (housing and urban development division). Contact silsbee tower for complete details on the current vacancies and housing applications. St mary's plaza is a senior low income housing apartment subsidized by the federal governments hud (housing and urban development division). Contact st mary's plaza for complete details on the current vacancies and housing applications. 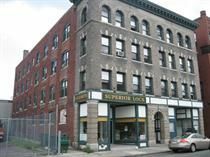 Harbor loft is a senior low income housing apartment subsidized by the federal governments hud (housing and urban development division). Contact harbor loft for complete details on the current vacancies and housing applications. Kings beach towers is a senior low income housing apartment subsidized by the federal governments hud (housing and urban development division). Contact kings beach towers for complete details on the current vacancies and housing applications. Rockmere gardens is a family low income housing apartment subsidized by the federal governments hud (housing and urban development division). Contact rockmere gardens for complete details on the current vacancies and housing applications. Rolfe house is a senior low income housing apartment subsidized by the federal governments hud (housing and urban development division). Contact rolfe house for complete details on the current vacancies and housing applications. Willow apartments is a senior low income housing apartment subsidized by the federal governments hud (housing and urban development division). Contact willow apartments for complete details on the current vacancies and housing applications. St theresa's house is a senior low income housing apartment subsidized by the federal governments hud (housing and urban development division). Contact st theresa's house for complete details on the current vacancies and housing applications. Neptune towers is a family low income housing apartment subsidized by the federal governments hud (housing and urban development division). Contact neptune towers for complete details on the current vacancies and housing applications. Fabens building is a senior low income housing apartment subsidized by the federal governments hud (housing and urban development division). Contact fabens building for complete details on the current vacancies and housing applications. Quaker meadows is a family low income housing apartment subsidized by the federal governments hud (housing and urban development division). Contact quaker meadows for complete details on the current vacancies and housing applications. Leisure tower is a senior low income housing apartment subsidized by the federal governments hud (housing and urban development division). Contact leisure tower for complete details on the current vacancies and housing applications. Olympia square is a senior low income housing apartment subsidized by the federal governments hud (housing and urban development division). Contact olympia square for complete details on the current vacancies and housing applications. Marian gardens is a family low income housing apartment subsidized by the federal governments hud (housing and urban development division). Contact marian gardens for complete details on the current vacancies and housing applications. St stephen's tower is a senior low income housing apartment subsidized by the federal governments hud (housing and urban development division). Contact st stephen's tower for complete details on the current vacancies and housing applications.